If you’re tired of roses and chocolate as your default Valentine’s Day gift for your significant other, maybe it’s time to think outside the box. A decor gift for the home can make for a unique gift for the for the lover of modern accessories in your life. Try one of these items as your Valentine’s Day gift this year! 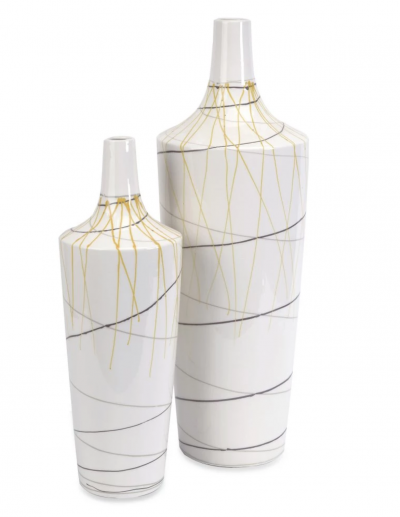 These elegant ceramic vases will add a touch of color to a room with their gray and yellow lines. Perfect for some decorative branches or just on their own! 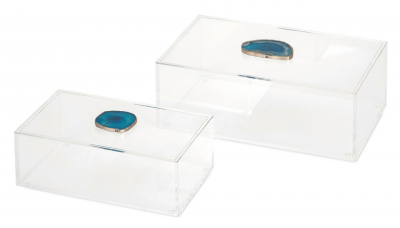 These two lidded boxes, featuring a piece of agate gemstone, will provide a contemporary accent and a pop of blue to your space. 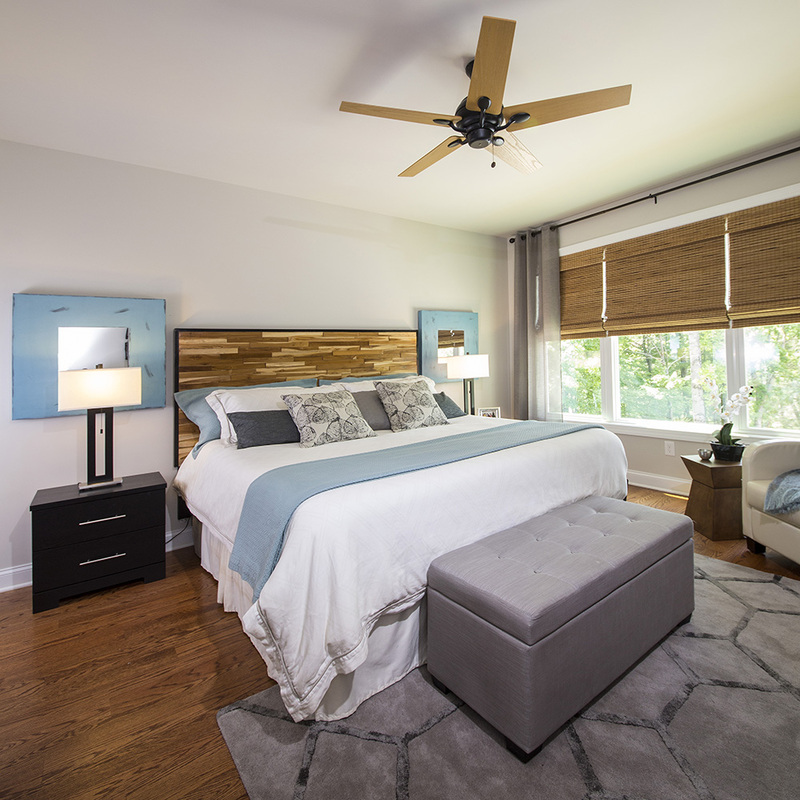 This modern piece can be the focal point for a room. Use it on a mantel or console table. 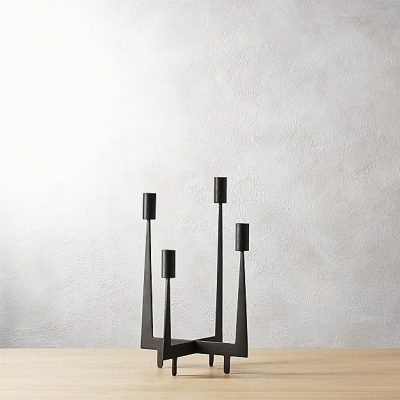 This iron holder for 4 tapers with its sleek lines will add a modern touch to a dining room, console, or coffee table. 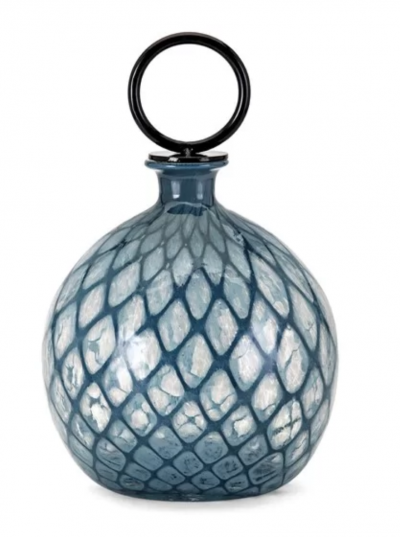 We love the pop of blue this unique vase brings. 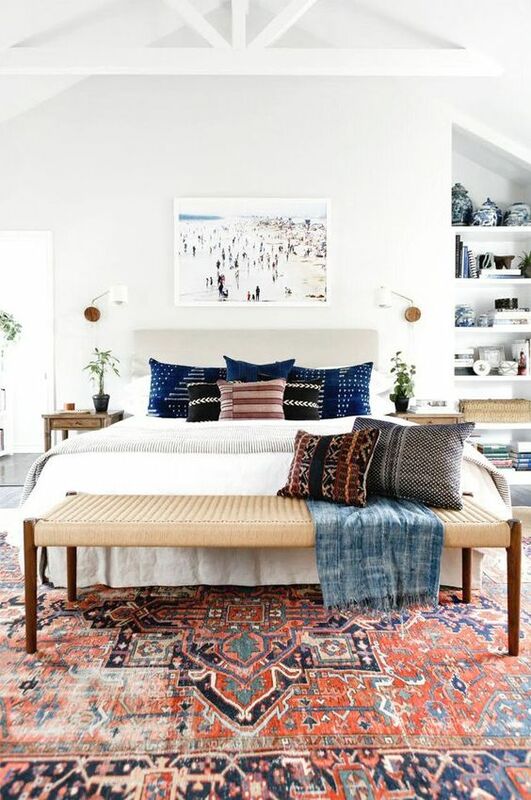 The pattern in the glass will also add texture to your space. 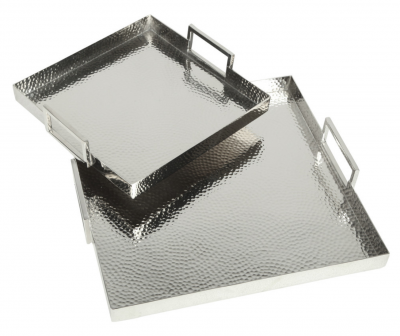 These trays make a versatile decor gift. 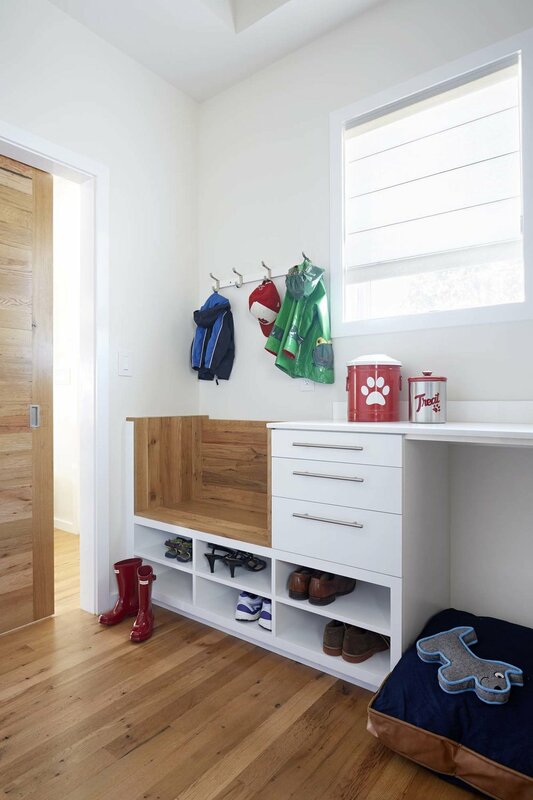 You can use them for serving or as a space to hold and display other accent pieces on a coffee table. 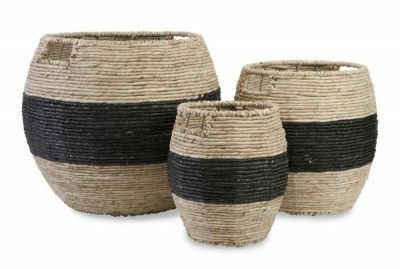 Another versatile option, these sturdy baskets with a modern and tropical feel are great for storing blankets, toys, or other knick knacks. 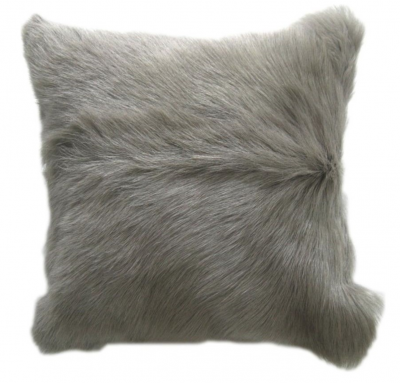 This contemporary but cozy throw pillow will provide a textured accent on nearly any color furniture. 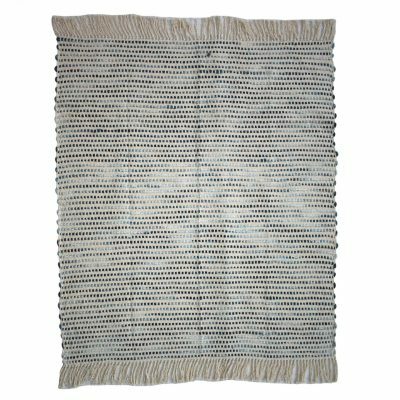 For a stylish throw for your living room, try this one with a blend of fabrics for a textured look. 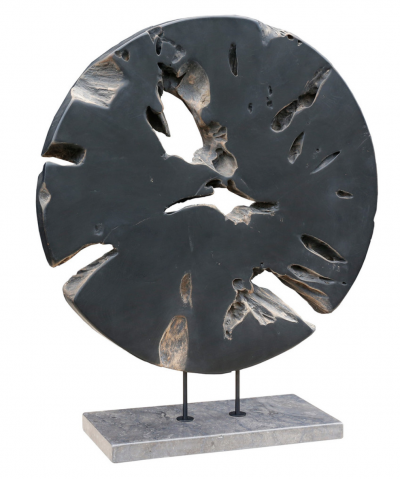 *This item is available for purchase through CIRCLE Design Studio. Contact us for more information. 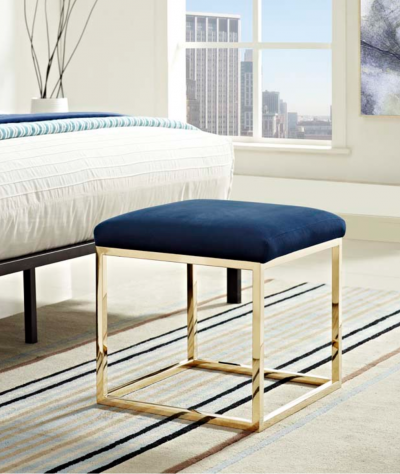 We love the contrast of the clean lines and shimmer of the base with the soft fabric and elegant navy color of the top. 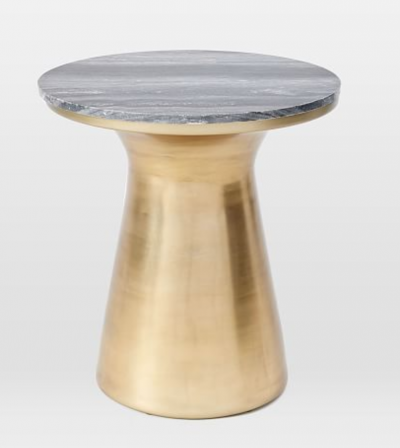 This contemporary accent table provides shine with its antique brass base and texture with its marble top. We love this pitcher for the bar or kitchen, with the gold ball that serves as a handle. 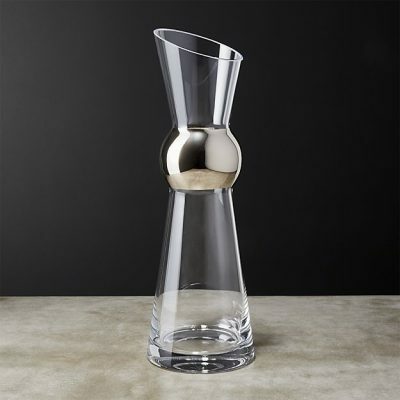 Great for serving drinks or just as a decorative piece! 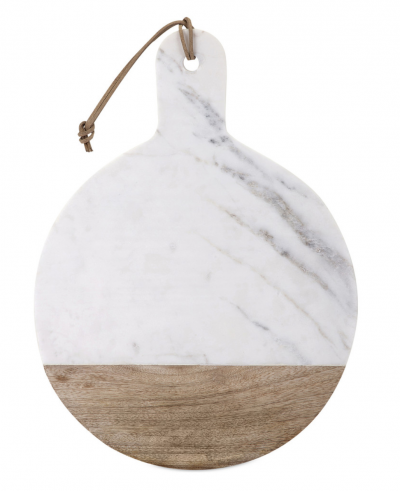 The marble and wood combination make this piece a classy and functional serving tray for gatherings. We hope these suggestions have given you some inspiration for some outside-the-box gifts you could give to your significant other this Valentine’s Day. If these specific items aren’t a match for his/her style, you can use them as a springboard for general categories of decor gifts. Happy shopping!